Wood performs several essential functions in plants, including mechanically supporting aboveground tissue, storing water and other resources, and transporting sap. Woody tissues are likely to face physiological, structural and defensive trade-offs. How a plant optimizes among these competing functions can have major ecological implications, which have been under-appreciated by ecologists compared to the focus they have given to leaf function. To draw together our current understanding of wood function, we identify and collate data on the major wood functional traits, including the largest wood density database to date (8412 taxa), mechanical strength measures and anatomical features, as well as clade-specific features such as secondary chemistry. We then show how wood traits are related to one another, highlighting functional trade-offs, and to ecological and demographic plant features (growth form, growth rate, latitude, ecological setting). We suggest that, similar to the manifold that tree species leaf traits cluster around the ‘leaf economics spectrum’, a similar ‘wood economics spectrum’ may be defined. 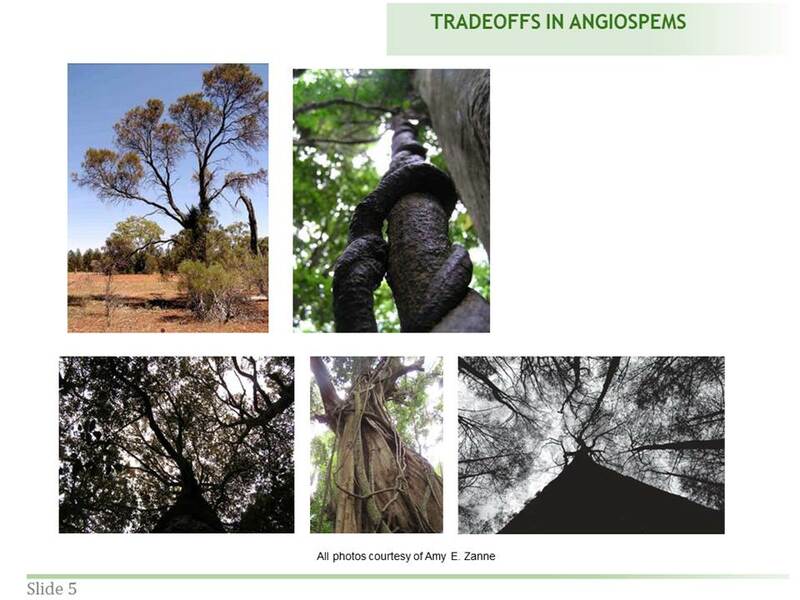 We then discuss the biogeography, evolution and biogeochemistry of the spectrum, and conclude by pointing out the major gaps in our current knowledge of wood functional traits. Chave, J., Coomes, D., Jansen, S., Lewis, S. L., Swenson, N. G., & Zanne, A. E. (2009). Towards a worldwide wood economics spectrum. Ecology letters, 12(4), 351-366. Atteh Akoto onto Additional resources for teaching "A Walk Through the Woods"
Additional resources for teaching "A Walk Through the Woods"